The application of the team of Western Armenia to the world championship among the unrecognized states, which will be held in June in London, became known. Goalkeepers: Gevorg Kasparov (Gandzasar-Kapan, Armenia), Anthony Kasparian (Toulon, France), Khachatur Hovsepyan (Ararat, Armenia). 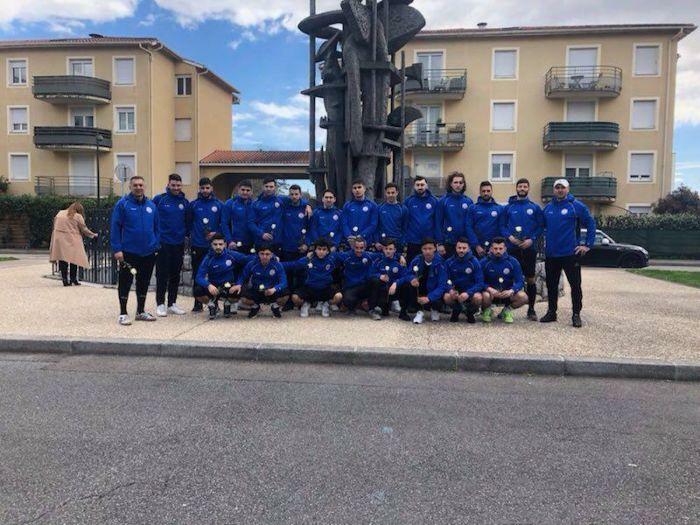 Defenders: Fabrice Guzel (Le Ponte, France), Julien Tepelyan (Ardziv, France), Rafael Safaryan (Ararat, Armenia), Grach Yagan (Stad Nyon, Switzerland), Raffi Chris Kaya (Lancy “, Switzerland), Massis Kaya, Arman Mossian, Gevorg Minasov (all without the club). 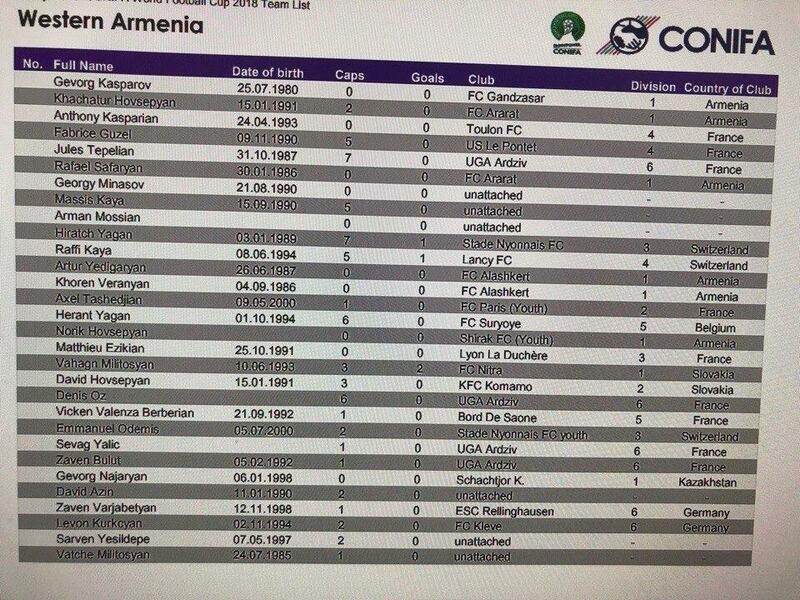 Midfielders : Arthur Edigaryan, Khoren Veranyan (both are Alashkert, Armenia), Axel Tashedyan (Paris-2, France), Grant Yagan (“Serior”, Belgium), Norik Hovsepyan (Shirak-2, Armenia) , Mathieu Ezikyan (Lyon-Ducher, France), Denis Oz, Zaven Bulut, Sevag Yalik (all of Ardziv, France), Gevorg Nadjarian (Shakhtar, Kazakhstan), Emmanuel Odeemis (Stud Nyon, Switzerland ), David Azin (without the club). Forwards: Vahagn Militosyan (Nitra, Slovakia), David Hovsepyan (Komarno, Slovakia), Vigen Valenza-Berberian (Bord de Son, France), Zaven Varzhabedyan (Rellinghausen, Germany), Levon Kurkchiyan (” Kleve, Germany), Sarven Esildepe, Vache Militosyan (both without a club). 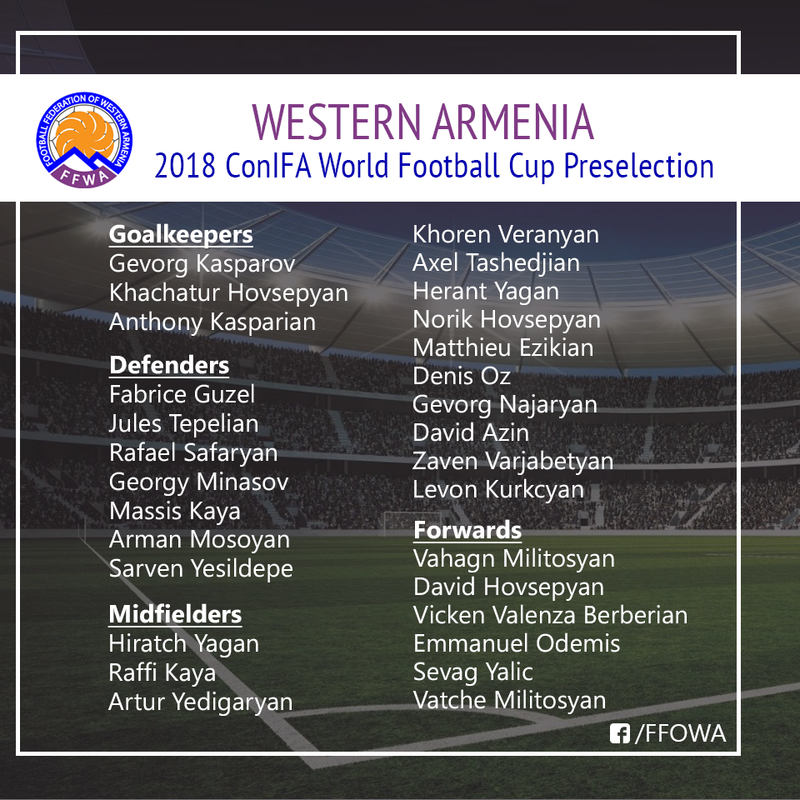 At the group stage the rivals of the team of Western Armenia, headed by the former captain of the national team of Armenia Harutyun Vardanyan, will be the national teams of Punjab, Koreans of Japan and Kabilia.